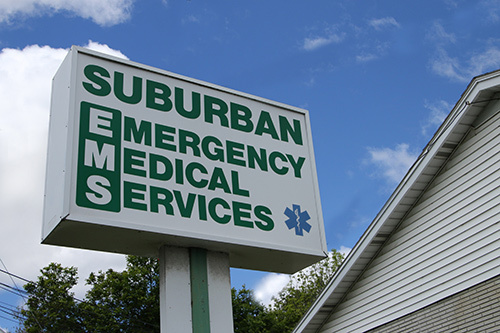 The Suburban Advantage: Strong Presence - Local Billing – Knowledgeable Staff: We have a strong presence in the community and take pride in our ability to respond quickly and reliably to our community’s needs. We are able to handle substantial call volumes as we are staffed around the clock. We are experts in providing the transport you need. In 2016 alone, we handled over 48,000 calls. Managing Costs: We offer a subscription service that will provide for discounted rates for our transport services. Community Outreach: Giving back to the communities we serve is important to us. 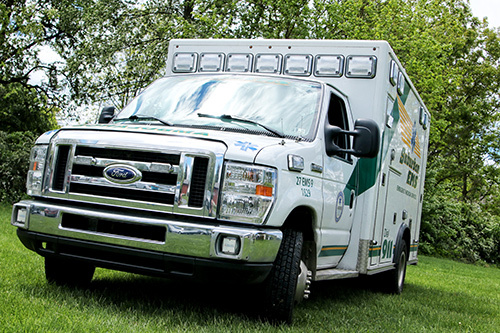 We provide CPR AED training to local police, boroughs, and townships, provide fire rehab. for fireman at major incidents, and stand-by’s at local sporting events for the community athletic associations and schools as requested. We work with local schools and community groups to deliver educational seminars pertaining to accessing the 9-1-1 system, recognizing heart attacks and strokes.